The federal government is asking Canadians to take a break from the drama around the SNC-Lavalin scandal, and instead pay attention to the country’s finances. Finance Minister Bill Morneau unveils the Liberal party’s latest budget today at 4 p.m. EST. The wishlist for goodies among various stakeholders is long. We could see new money for broadband internet, especially in rural areas. Relief for home buyers locked out of the market is widely expected to be included. UBC professor Paul Kershaw wants to see language that signals the scale of the gap between home prices and earnings. He also wants to see acknowledgment that, despite a cooldown in parts of the country, housing prices remain a big problem for younger generations. Kershaw, along with Generation Squeeze, thinks there’s a lot Ottawa can do, including lowering taxes on the earnings of ‘regular folks’, while increasing taxes on speculators and flippers. But he’s not holding his breath during an election year. 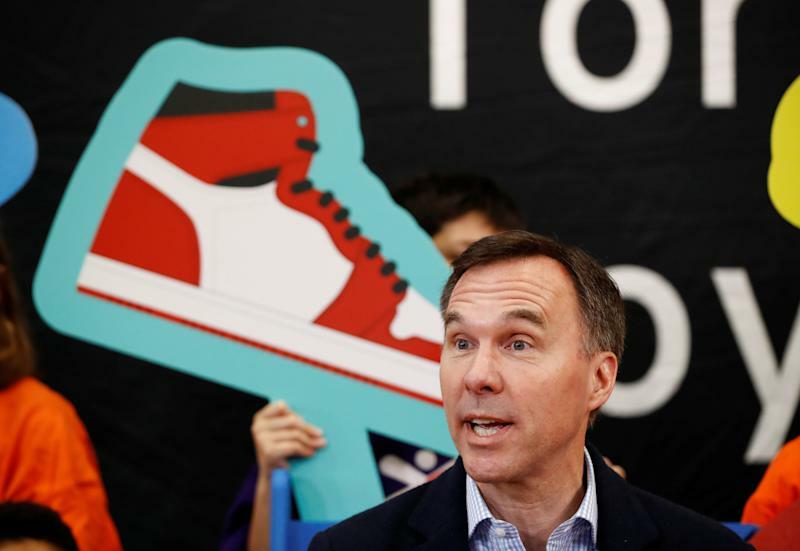 “If I were a betting person, and knowing that many have appropriately discouraged the Finance Minister from relaxing stress tests and amortization periods, I would expect an increase to the First Time Home Buyers Tax Credit and/or an expansion of the amount of Tax Sheltered RRSP savings that people can allocate toward a down payment,” Kershaw told Yahoo Finance Canada. Aaron Wudrick, Federal Director of the Canadian Taxpayers Federation, wants to see broad-based tax relief. “Especially for individuals, coupled with spending reductions would be ideal, along with a plan to pay down debt,” Wudrick told Yahoo Finance Canada. Wudrick would like to see the Liberals follow through on a promise to balance the budget in 2019, or at least come up with a plan to get back to balance in a reasonable timeframe. He says rising government debt cannot be ignored any longer. The economy has been sending mixed messages as of late. Sluggish GDP growth and a Bank of Canada on hold, stand in stark contrast to some of the best jobs growth in a long time. Bank of Nova Scotia economist Rebekah Young says the government is on track to lower the deficit to a greater degree than predicted in the fall economic update. Young says if Morneau plans to open up the nation’s wallet, it needs to be spent wisely. “In any case, the government will stick to its downward debt-to-GDP anchor (forecast at 30.9% for 2018/19), which will contain any additional spending. The spending magnitude implied by the windfall would not significantly change the outlook.” Young told Yahoo Finance Canada. Personal finance expert Rubina Ahmed-Haq wants to see money for real change. A growing number of Canada’s seniors are finding themselves in financial difficulty. Ahmed-Haq hopes help is on the way for seniors living on a fixed income. “That focus should be on helping seniors because they require greater care than any other segment of the Canadian population,” said Ahmed-Haq. There haven’t been many rumours about measures for small business. Monique Moreau, VP of national affairs at Canadian Federation of Independent Business (CFIB), hopes some of the concerns among entrepreneurs will be addressed. Moreau says she would also like to see measures like trading credits, and a ‘holiday’ from EI premiums paid by employers when they hire a young worker. She would also like to see a reduction in red tape.